"Splatoon 2 in particular will offer voice chat, a much-requested feature from our overseas fans, using smart-devices and the ability to bring eight Nintendo Switch systems together for eight-person local multiplayer." Naturally, this made fans curious as to how the whole system might work. 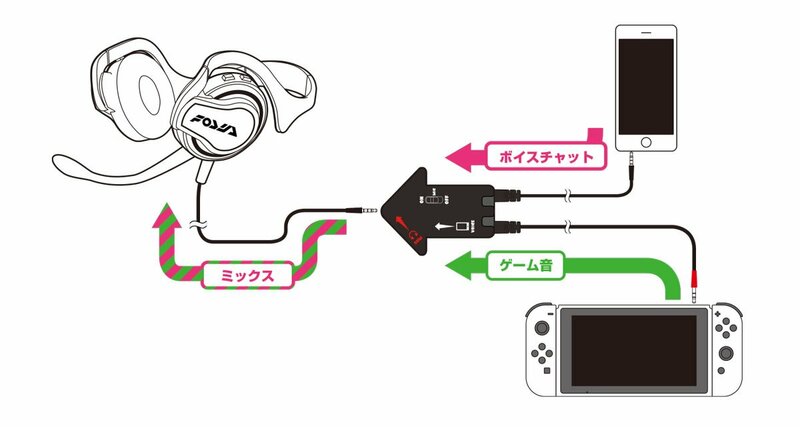 Fortunately, thanks to a recent story on Hori's official Splatoon 2 headset (via Nintendo Switch), we can finally begin to understand how the game's voice chat system is intended to function, and perhaps learn more about how the system could function. 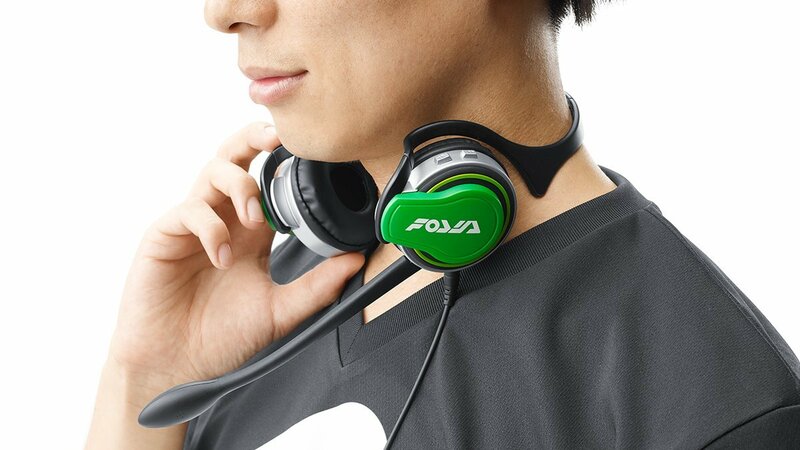 Accessory manufacturer Hori has a new officially-licensed Splatoon 2 headset that looks to function in a similar manner to any other headset for mobile devices or PC. 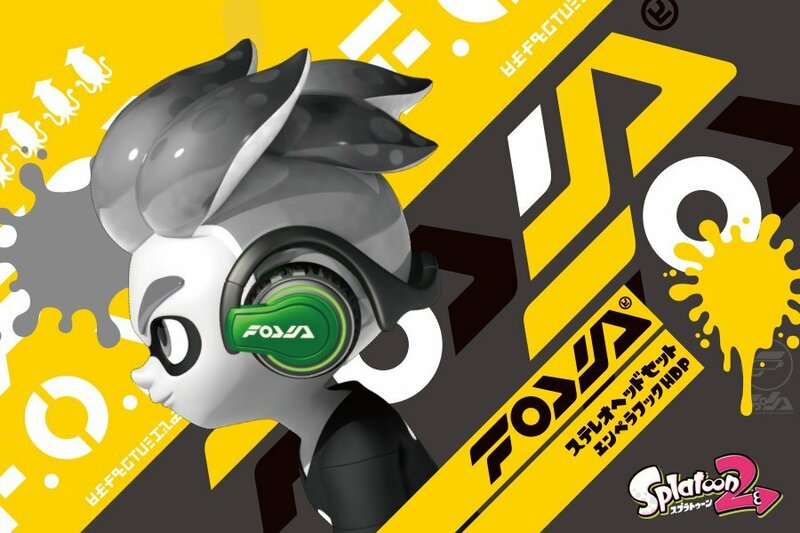 To make the endorsement even more official, the headset appears to be an in-game item for Splatoon 2, and even appears wrapped around character's heads in promotional art, like the image seen at the top of this story. However, unlike other headsets, the Hori Splatoon 2 headset comes with an additional dongle that attaches in-line with two separate devices. One lead is meant to connect to a player's Nintendo Switch system, while the other connects to the user's mobile device. The top of the unit, as can be seen in the configuration image below, is where users will plug in the headset. And, naturally, the dongle itself looks a bit like a squid, because why wouldn't it? However, aside from a couple of extra 3.5 mm connections and a mute toggle switch, not much else is known about how the headset is supposed to work in conjunction with the app and console. However, with an inquisitve look at the system, we might be able to figure out how everything is supposed to work together. How Does Voice Chat Work With The Nintendo Switch? If Nintendo's explanation of the Splatoon 2 voice chat implementation is any indication, players will expect to use a mobile app in order to use voice chat. This notion is further reinforced by the above diagram, which seems to have the Nintendo Switch audio being merged together with the phone or tablet's audio through the dongle, which is essentially a common Y-adapter. This seems to indicate that all voice communication is handled outside of the Switch, and likely means that players can either use a first-party Nintendo or even Hori app, or other voice apps like Discord if they so choose. Exactly how a Nintendo or Hori voice chat app might function is unknown, but it wouldn't be surprising to learn that there's no way to connect such an app to the game in a manner that places all players into a common chat room. It's possible, but it's probably unlikely. So, it seems like players will be able to connect to whichever friends they choose in order to utilize voice chat for Splatoon 2. This is the same method that's been available for years through places like Discord, and it isn't a system that's unique to Splatoon 2 or the Nintendo Switch itself. Are There Drawbacks To This Method? The answer to that question is yes. Relying on outside software to facilitate voice chat through an app that doesn't rely on any data from the game or the Switch system has several caveats, the most obvious of which would be ghosting -- the ability for a player to gain valuable strategic information from a fallen player or a player on the opposite team. Being tied to a mobile device has other drawbacks, too. 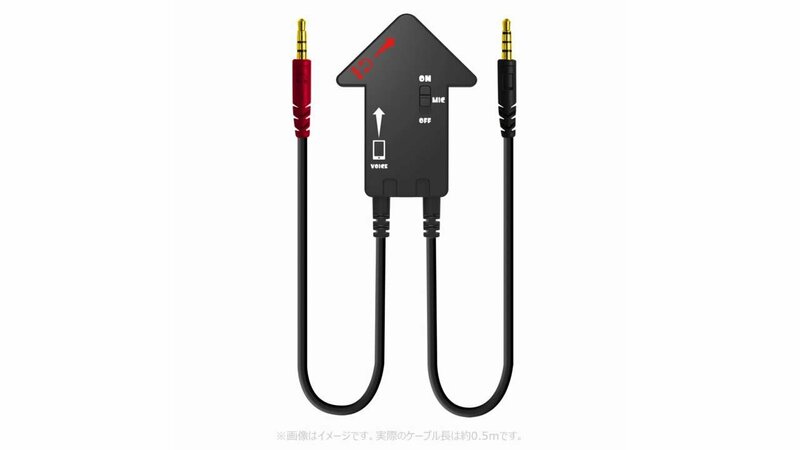 Players who connect through the dongle will have all audio ported through their headphones, but players who enjoy Splatoon 2 in Docked mode will likely have their audio being ported through their TV or home receiver's speakers. This means all in-game audio will likely be picked up by player's microphones, creating an annoying feedback loop. Additionally, the cables included with the Hori official Splatoon 2 headset are only 20 inches long, meaning players who make use of the dock mode very likely won't be able to use their headsets at all -- and if they do, their phone will likely be out of reach. And that's to say nothing of the notion of using a phone to communicate while playing a game, which is all but certain to drain more battery power than necessary. Still, using a third-party app to use voice chat outside of the Switch interface is convenient, and not just for Splatoon 2. Making use of such a system would work for any game, and if Nintendo decides to release their own native voice chat application, players will have a one-stop communication hub that technically works alongside any Switch title they may be playing, multiplayer or not. Curious about all the latest games and accessories for Nintendo's latest hybrid console? Loads of fun titles and peripherals are featured on our list of the Best Nintendo Switch Games and our list of the Best Nintendo Switch Cases.